The protests in Baghdad and Southern Iraq still continue and have entered the 3rd week now. So far the protesters have been able to protect their own independency and none of the political parties or the regional governments have been able to tame or control them. While some of the media outlets, particularly Al Jazeera tries to discredit the protesters and describe them as foreign-backed groups and agents of the United States of America (USA). However, the Iraqi government, to certain extent, acknowledged the legitimacy of the protesters’ demands. The Iraqi Prime Minister, Hadier al-Abadi agreed to spend $3 million to meet some of the demands of the people. In fact , there is no doubt that USA, Iran, and the other neighbouring states try to domesticate the protesters, as they want to intervene in Iraq, to control it to remain in a weak position for their own interest. However, they know that the collapse of the Iraqi government under the pressure of mass protests, demonstrations or uprising is not in their interest. The “Arab Spring” has given them a good lesson. It is absolutely certain that the demands of the people are legitimate. The people have been suffering for so long and now have no choice but to force the government, through their uprisings, to meet some of their demands. The protests, which started on 08/ 07/2018 triggered when the Iranian authority switched off the electric power from Basra when the temperature was around 50 degrees. 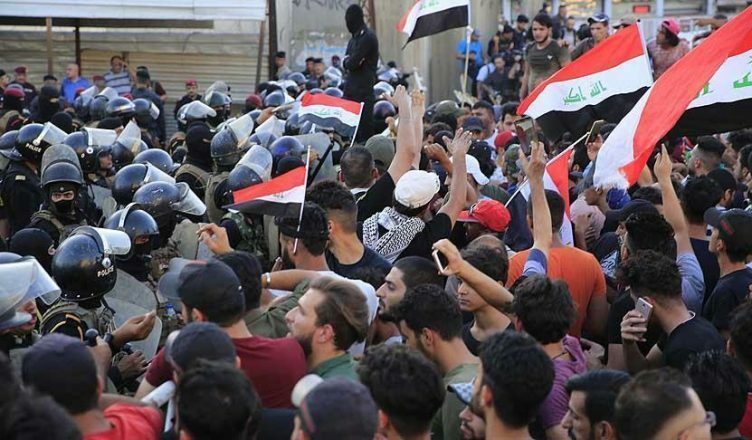 The protests are getting bigger and bigger and have extended to Baghdad and various other towns and cities in southern Iraq.